2016 16 FORD TRANSIT 2.2TDCI T350 LWB L4 H3 JUMBO TREND 125BHP. AIRCON. BLACK. 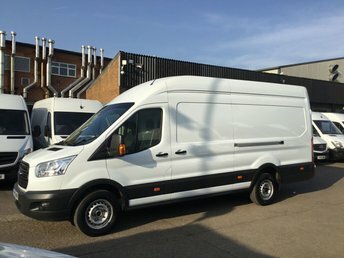 2016 66 FORD TRANSIT 2.2TDCI T350 LWB HIGH ROOF L3 H3 125BHP. WARRANTY. EU6. 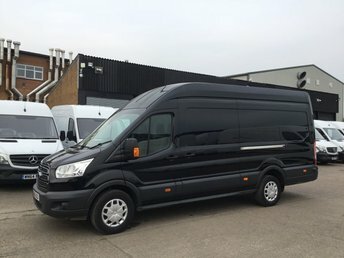 2016 16 FORD TRANSIT 2.2TDCI L3 H3 T350 TREND LWB HIGH ROOF 125BHP BLACK. AIRCON. FSH. 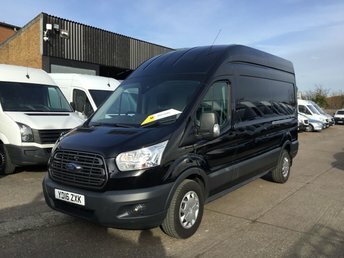 2016 65 FORD TRANSIT 2.2TDCI T350 L4 JUMBO LWB HIGH ROOF 155BHP. MORE POWER. 2014 14 FORD TRANSIT 2.2TDCI T350 TIPPER SINGLE CAB PICK UP TRUCK. CAMERA. 1 OWNER. 1 OWNER. REVERSE CAMERA. LOW FINANCE. RARE TIPPER. *** ASK ABOUT OUR SPECIAL 2 YEAR'S WARRANTY OFFER COVER *** SECURE WITH SMALL DEPOSIT *** 2014 14-REG FORD TRANSIT 2.2TDCI T350 MWB LWB TIPPER SINGLE CAB TRUCK PICK UP ( TWIN WHEEL ). ONLY DONE 79,635 LOW MILES. FULL SERVICE HISTORY COMPLETE PRINTOUT. 1 OWNER FROM BRAND NEW. EX LEASE VAN. EXCELLENT LOOKING TRUCK. READY FOR WORK !!! * REVERSING CAMERA * HEATED WINDSCREEN * RARE SINGLE CAB PICK UP * HIGH RISING TIPPING BODY * TWIN WHEEL * EURO 5 * FLASHING TOP BEACON * HPI CLEAR * BLUETOOTH HANDS FREE * RADIO + AUX + PHONE * 12V SOCKET * 6 SPEED MANUAL * ELECTRIC WINDOWS * TOW BAR * CENTRAL LOCKING SYSTEM. PX WELCOME. FINANCE ARRANGED. ALL MAJOR DEBIT CREDIT CARDS ACCEPTED. DEPOSIT SECURES. UP TO 24 MONTHS WARRANTY CAN SUPPLIED WITH THIS VEHICLE. PLEASE ASK ONE OUR MEMBERS OF STAFF TO ASSIST YOU ON THIS. OPEN 7 DAYS. PLEASE CALL : 01162 246530. PLEASE CALL : 07544 980372. WWW.LEICESTERVANCENTRE.COM .. SMALL DEPOSIT SECURES. 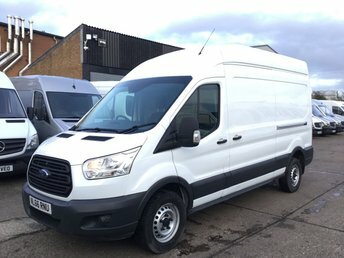 2016 65 FORD TRANSIT 2.2TDCI T350 L4 JUMBO LWB HIGH ROOF 155BHP. BIG POWER. 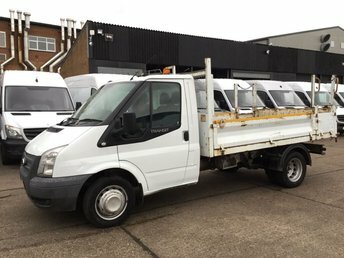 2014 64 FORD TRANSIT 2.2TDCI T350 LWB TIPPER DOUBLE CAB PICK UP TWIN WHEEL. LOW RATE FINANCE. PX WELCOME. 1 OWNER. FULL SERVICE. A legend in the world of commercial vehicles, Ford's Transit first appeared in the mid 1960s. Today it holds iconic status and is quite rightly regarded as one of the best commercial vehicles ever to have graced the UK's roads. 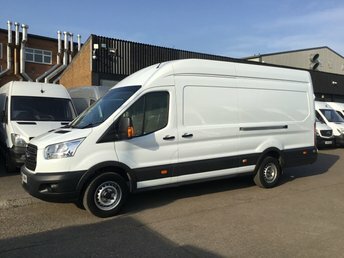 If you're in the market for a used Ford Transit in Leicester to help support your business, rest assured the team at Leicester Van Centre will help you find the perfect model to suit your requirements. All of our used Transit vans come fully inspected and are competitively priced. You'll find our knowledgeable team invaluable when it comes to advice and guidance, so be sure to get in touch today to discuss your individual requirements in more detail.